North Korea has been declared a “state sponsor of terrorism” and put back on the US’s black list a move certain to inflame tensions on the Korean peninsula. The move comes just a week after President Donald Trump returned from a 12-day, five-nation trip to Asia in which he made containing North Korea’s nuclear ambitions the centre of discussions. penalties on North Korea and related persons and supports our maximum pressure campaign to isolate the murderous regime,” said President Trump. North Korea joins Iran, Sudan and Syria on the list. Experts say it is a symbolic gesture as North Korea is already heavily sanctioned by the United States although it might help dissuade third parties from supporting Pyongyang. North Korea is pursuing nuclear weapons and missile programmes in defiance of UN sanctions. In was once before on the list for the 1987 airplane bombing in which 115 people died but was removed by President George W Bush in return for denuclearisation talks. North Korea has just been placed on our list of state sponsors of terrorism. 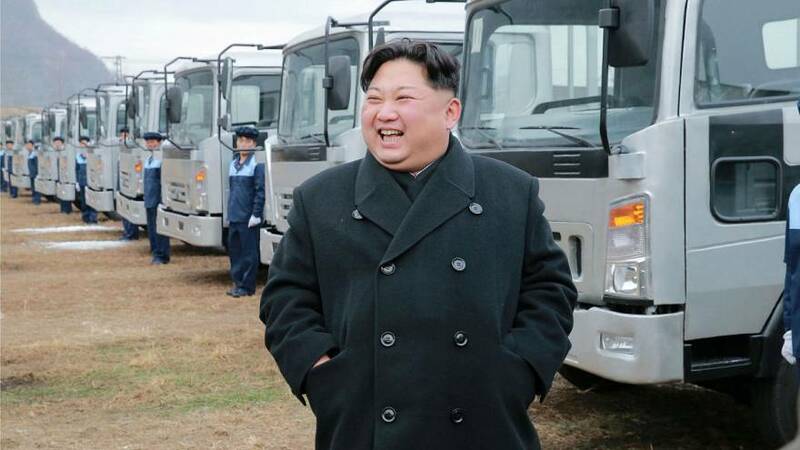 I would like to remind Kim Jong Un that as of November 8th 2016, the U.S. ended it’s policy of sending the countries on that list pallets of cash. Some experts don’t think North Korea fits the criteria as a “state sponsor of terror” which requires evidence that a state has “ repeatedly provided support for acts of international terrorism. Washington has cited the killing of North Korean leader Kim Jong-un’s estranged half brother in a Malaysian airport in February as an act of terrorism.